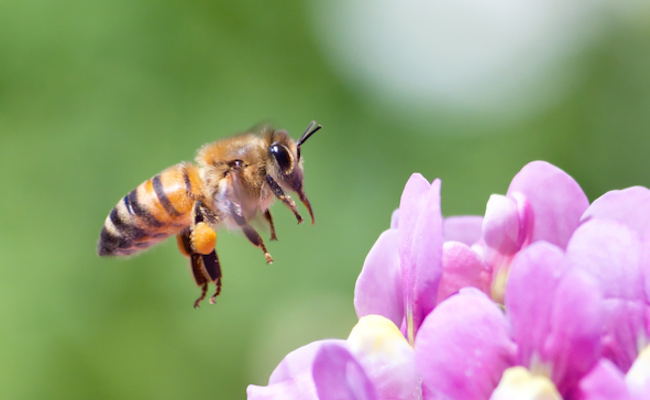 For years, the troubling bee die-off has been connected to the use of certain pesticides, but chemical companies and big agriculture have prevented significant action. Finally, however, Europe has decided enough is enough. The European Union has voted to permanently ban three insecticides known to kill bees, set to take effect within six months. Moving forward, European nations will not allow three popular neonicotinoids, clothianidin, imidacloprid and thiamethoxam, to be sprayed on fields. Although the EU previously had a partial ban on using these particular pesticides on flowering plants that are particularly attractive to bees, that step was deemed insufficient given the continued harm they did to the bee population. This news is undoubtedly exciting for the over 125,000 people who signed this Care2 petition encouraging the EU to ban these insecticides. Protecting bees, insects and migratory birds. It’s not that EU representatives are denying that eliminating these pesticides could have an impact on crop production, rather that finding other solutions for dealing with pests is necessary to create a system of sustainable farming. While pests kill crops, crops can’t be pollinated without bees, so striking a balance is critical. While the U.S.’s environmental authorities are actively trying to take science out of the equation, the EU is doing the opposite and deciding to let the wealth of scientific evidence guide its policy. Last month, the EU Food Safety Agency confirmed that all science points to neonicotinoids being a leading killer to the wild bee population, with over 1,500 separate studies resulting in similar findings. One major exception to the new ban is that these pesticides may continue to be used indoors, since research has not linked internal use, including within greenhouses, to poor bee health. Flea medicine for pets may also contain some neonicotinoids.